We have been now in Switzerland for about 3 weeks and are trying to get settled in. It has been a bit hectic but going well. I started my job and Jaya is taking some German lessons (as well as learning how to drive a stick). Here are some more pictures from our time in Latin America. After Ecuador we flew to Panama. 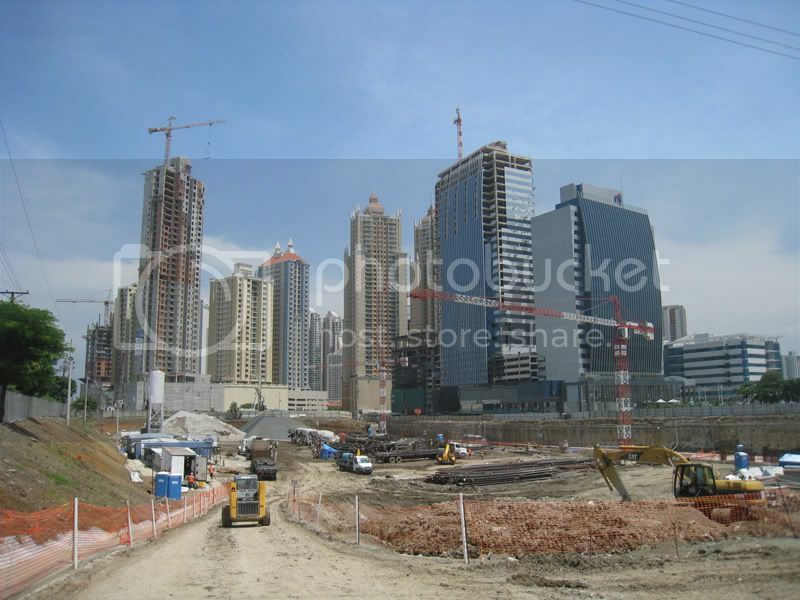 Panama City is quite a modern city and currently a construction boom is happening. Lot’s of new buildings are going up. This is the skyline as seen from the old centre. In some spots there are cranes where ever you look. 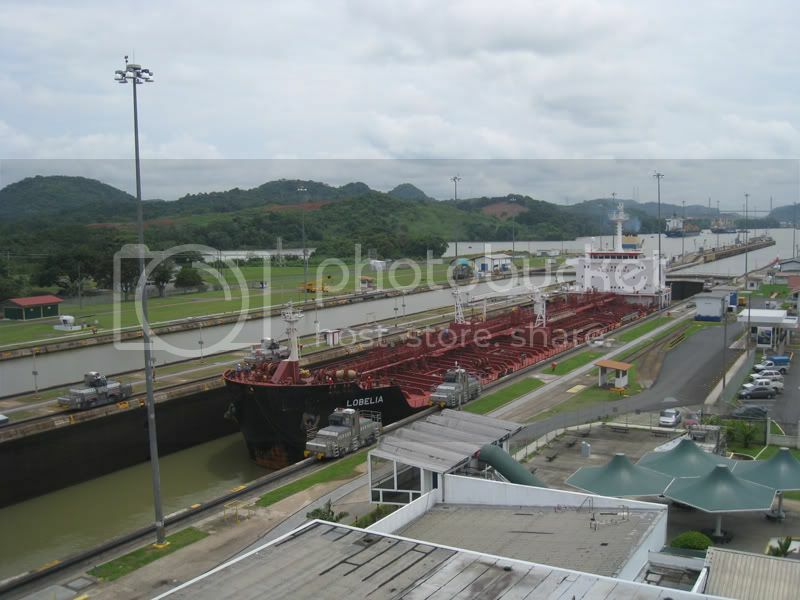 When you go to Panama you have to go to see the Panama canal. It’s quite an engineering marvel. However, it also took a heavy toll. 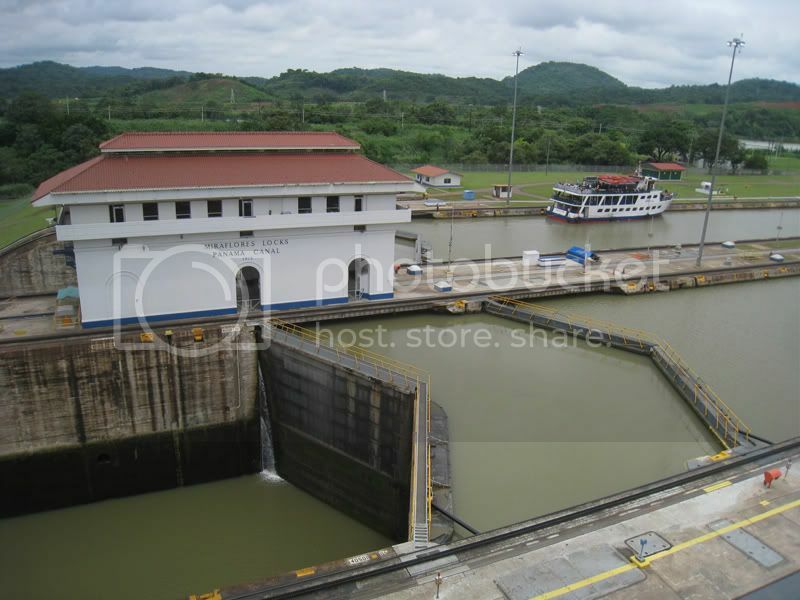 There are estimates that more than 27’000 people died during the construction of the canal (mostly due to malaria and yellow fever). 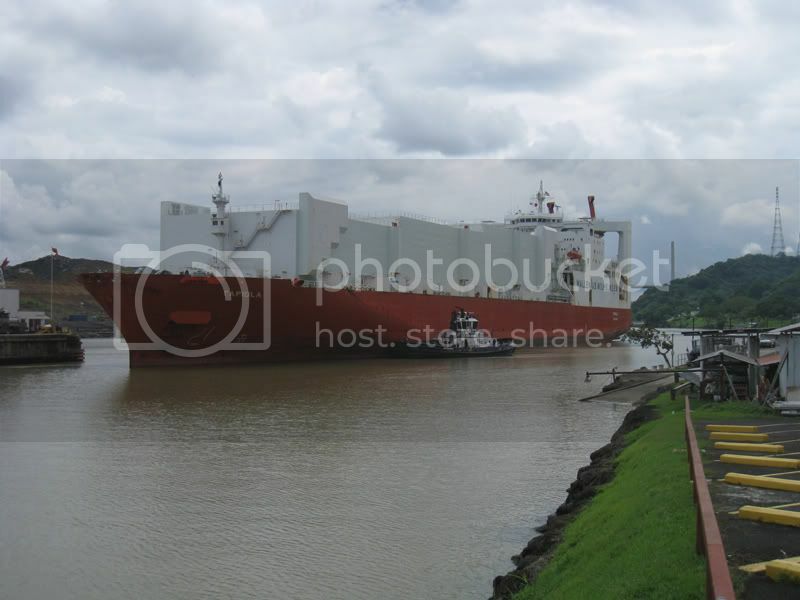 We went to the Miraflores locks where there is a nice visitor’s platform. 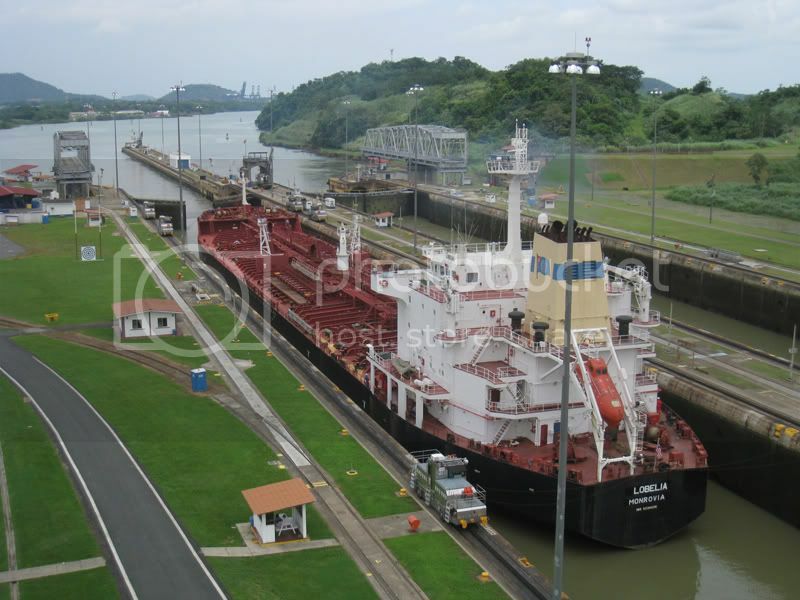 From there you can conveniently overlook the whole process of lifting and lowering of the big ocean vessels. This is a look towards the north. 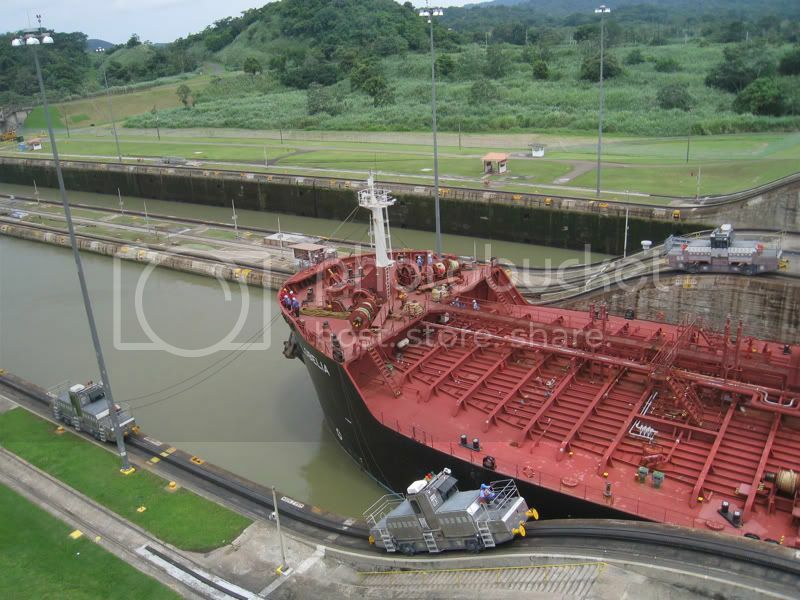 You can see a big vessel leaving the locks and some vessels lined up and ready to enter. Now we will go through a whole process of lowering this vessel by about 16 meters. 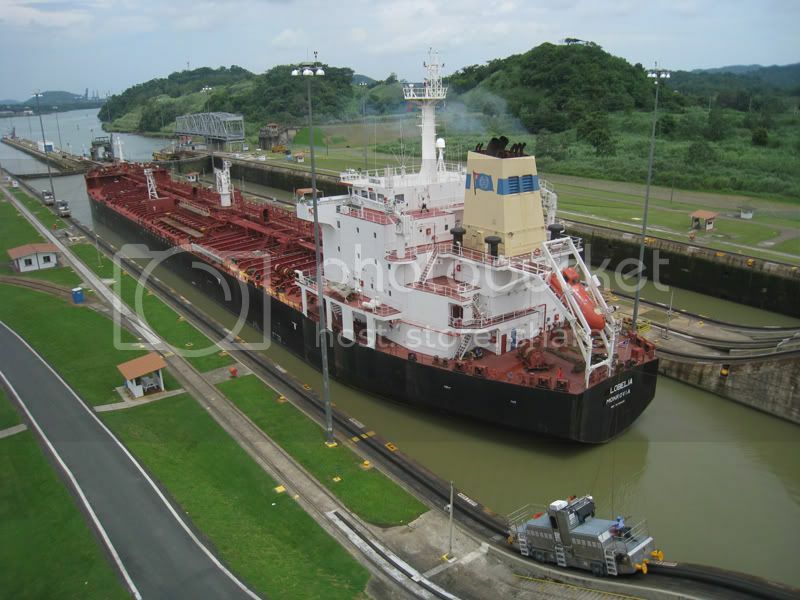 This tanker enters the first chamber of the locks. Then it is lowered by about 8m in the first chamber. Here the tanker is going forward and is guided by the mules (electric locomotives) so it does not touch the walls. 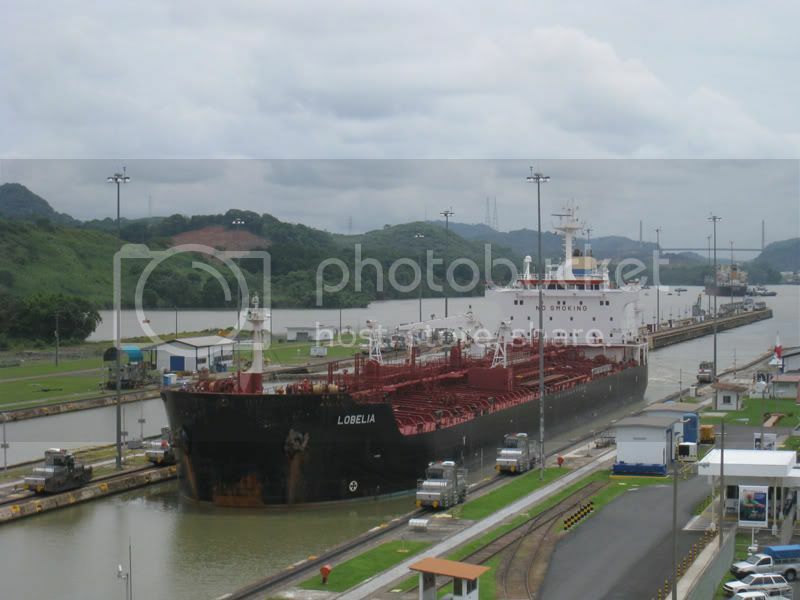 The tanker arrived in the second chamber and will be lowered again for about another 8 meters. Now the tanker is ready and on it’s way to the Pacific. 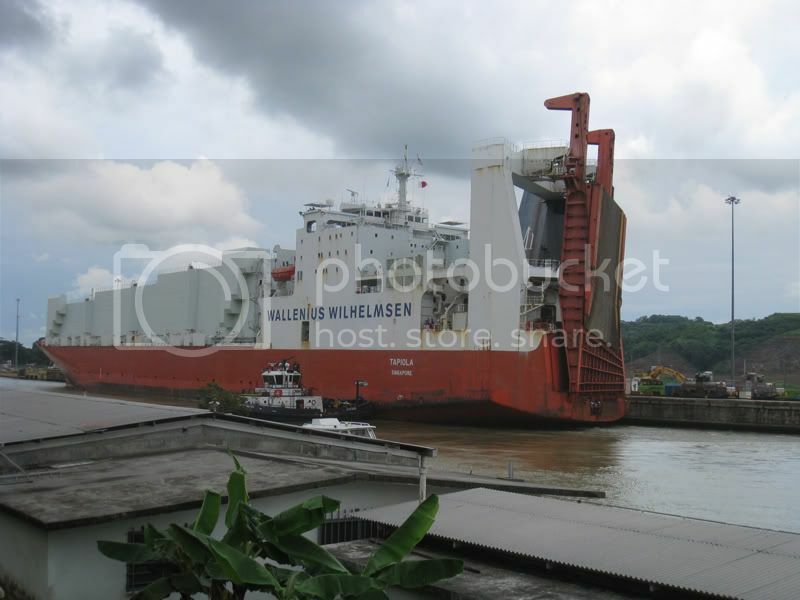 It just came from the Atlantic through the 77km long canal and got lifted by 26 meters and lowered again by 26 meters. 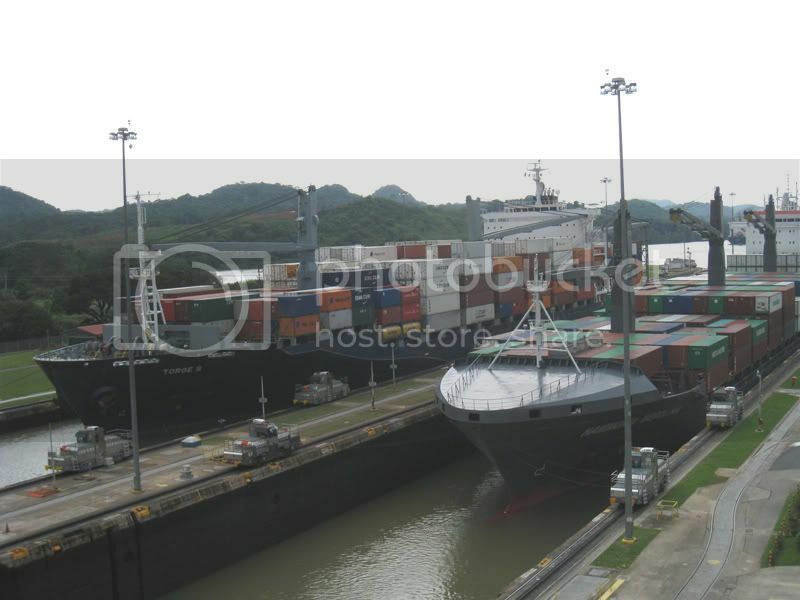 There are all types of vessels coming through, like these big container ships. 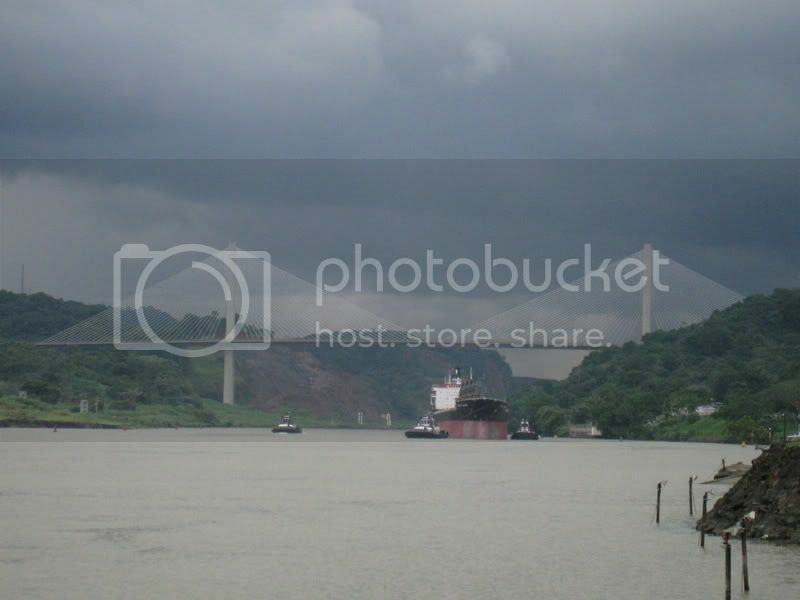 After the Miraflores locks we went further up to the Pedro Miguel Locks and just saw this huge thing coming in. This is a RORO-carrier (rolled on, rolled off). 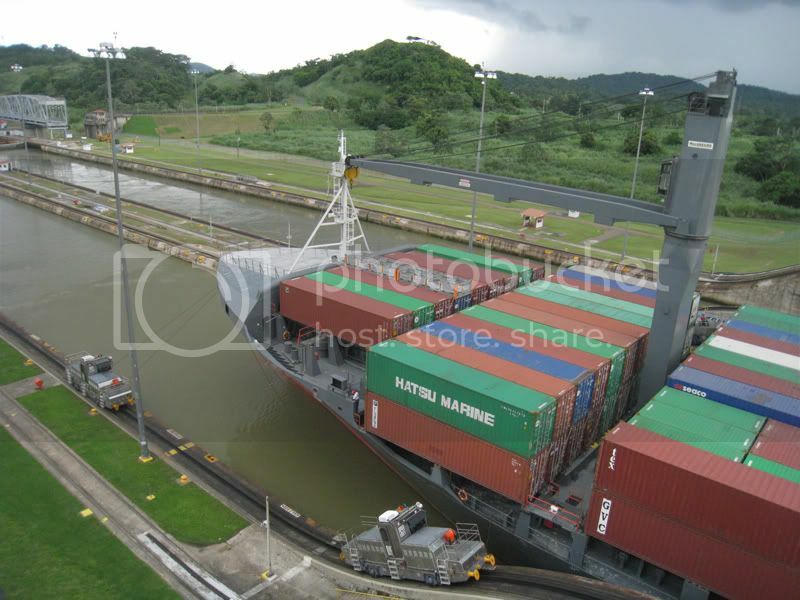 They have big ramps so that wheeled cargo can be loaded such as trailer trucks etc. 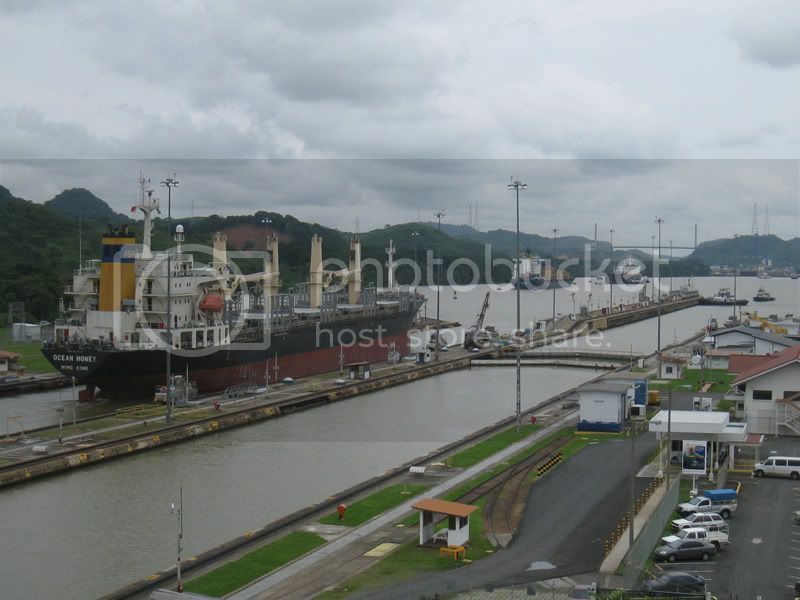 Next to the Pedro Miguel Locks is the Centennial bridge. In Venezuela and Brazil we enjoyed, almost daily, juicy sweet mangos. You can buy them everywhere and very cheap. 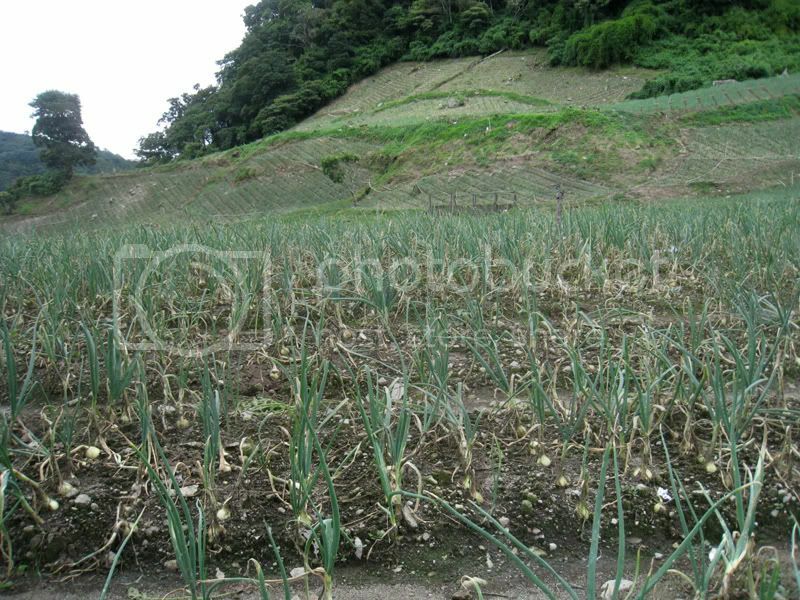 After that we went to some of the colder countries like Argentina and Chile and could not find any mangoes. 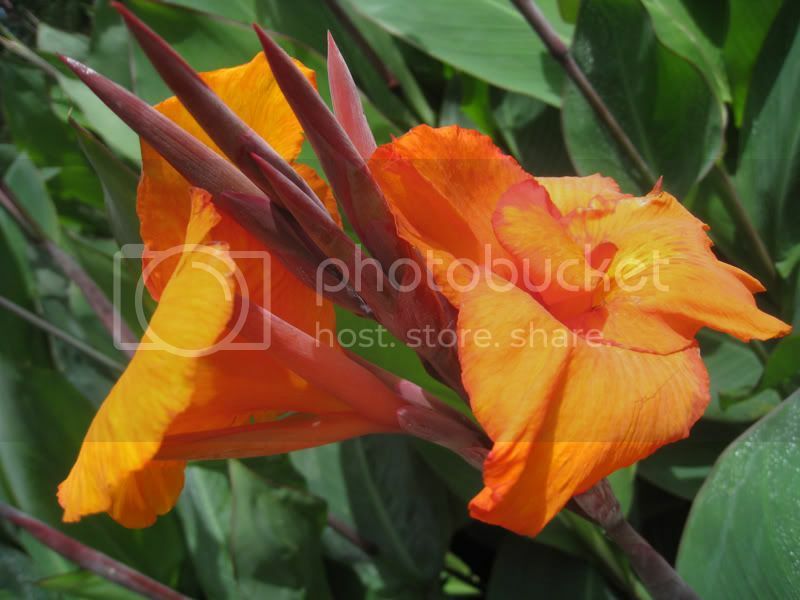 In Bolivia, Peru and Ecuador we could not find mangos because they were out of season. Finally in Panama we could find them everywhere again. 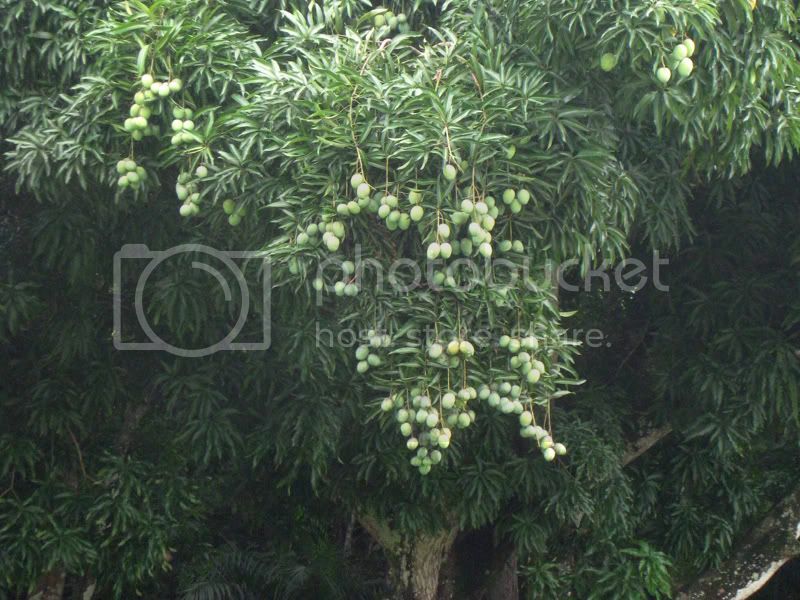 There were lots of mango trees and you just could collect the ripe mangos from the ground. Here is a picture of a “chicken bus”. 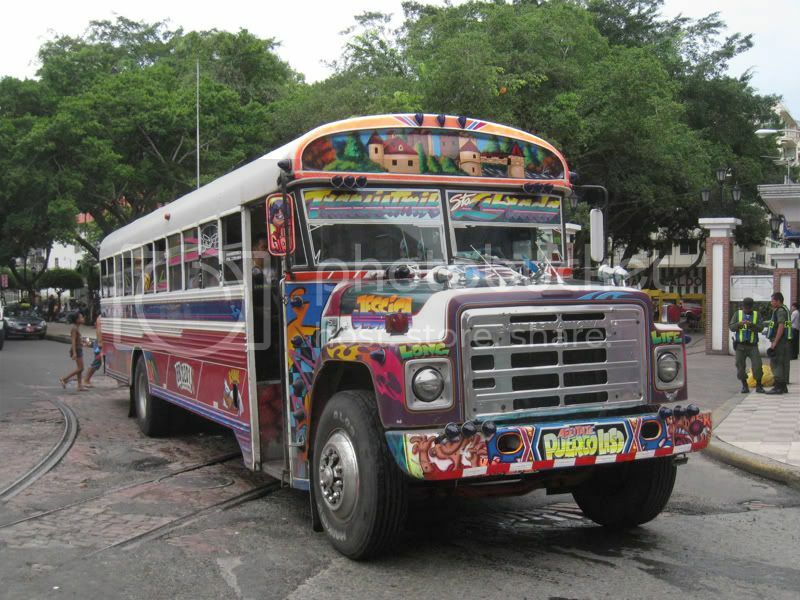 These ex-U.S. yellow school buses, re-repainted and re-designed, are the main form of public transport in Central America (at least for the shorter distances or in urban areas). It seems there is a competition between the buses to be the most vibrant. The word "chicken" refers to the fact that sometimes live animals are transported on such buses. Even though we never witnessed that particular case, we still could share quite a few other remarkable bus stories. 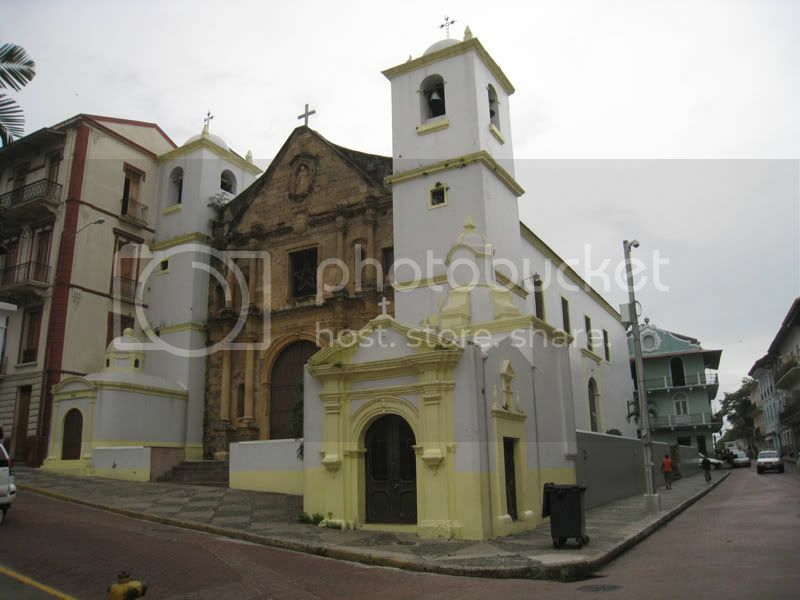 A church in the old centre of Panama City. 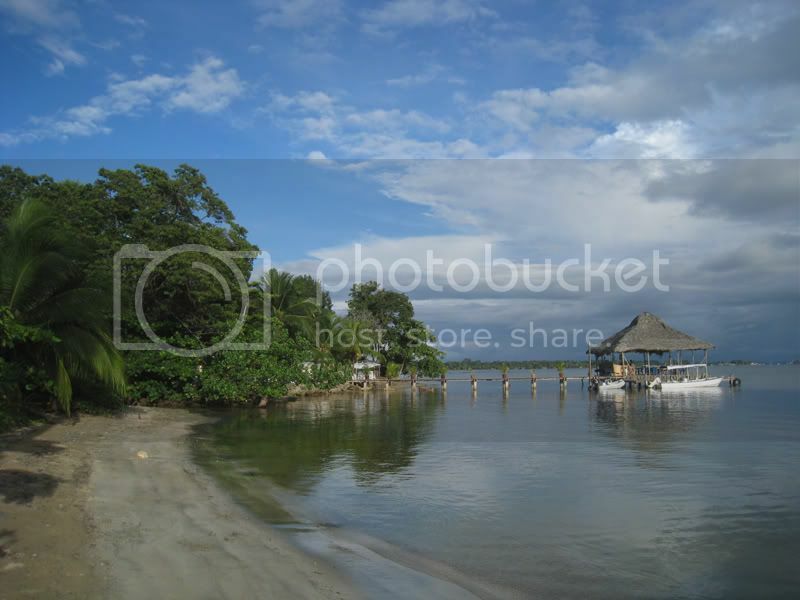 From Panama City we went to Bocas del Toro. 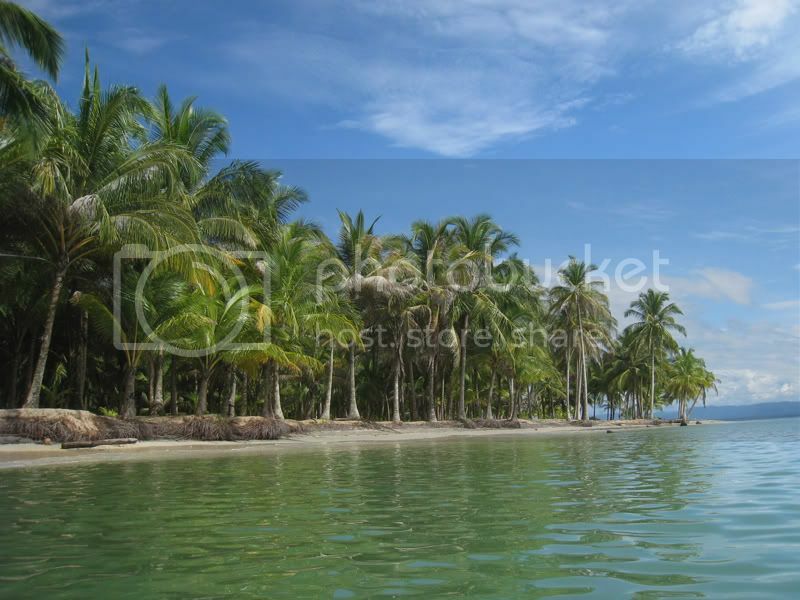 This is a group of islands on the north western Caribbean coast of Panama. 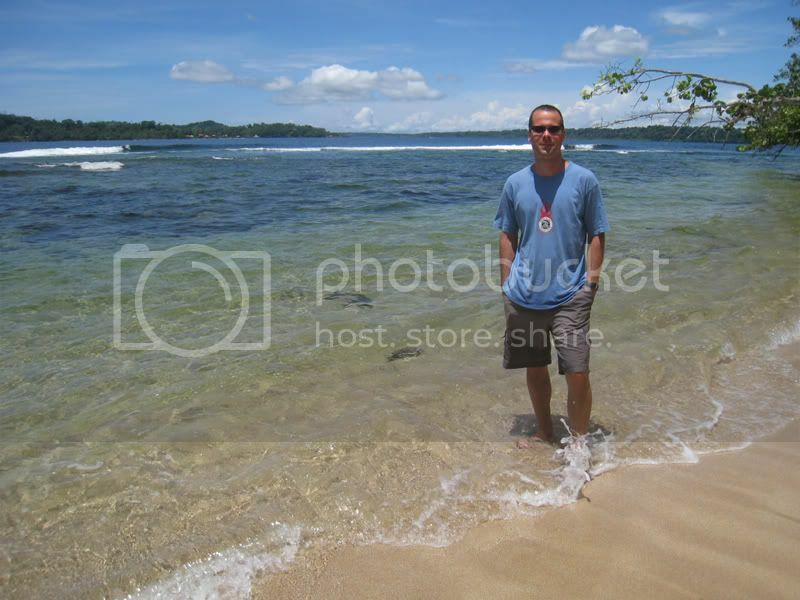 We stayed in the main town there with the same name “Bocas del Toro”. 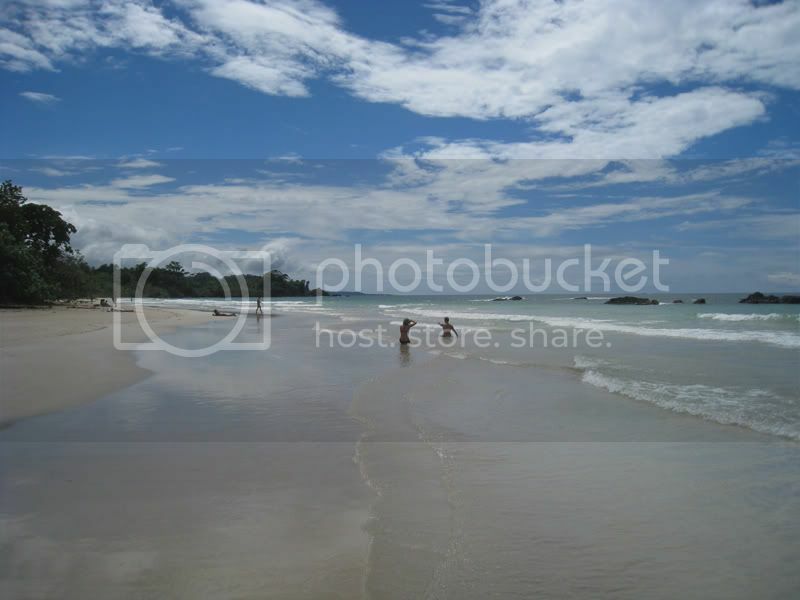 There is a very laid-backed atmosphere on these islands and numerous world class beaches can be visited with a short boat ride. 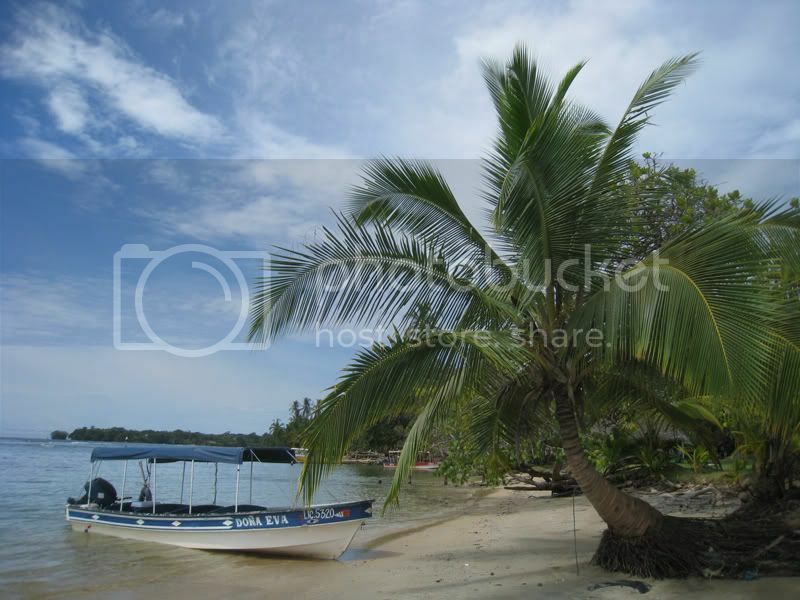 Here we went to Bocas del Drago beach. 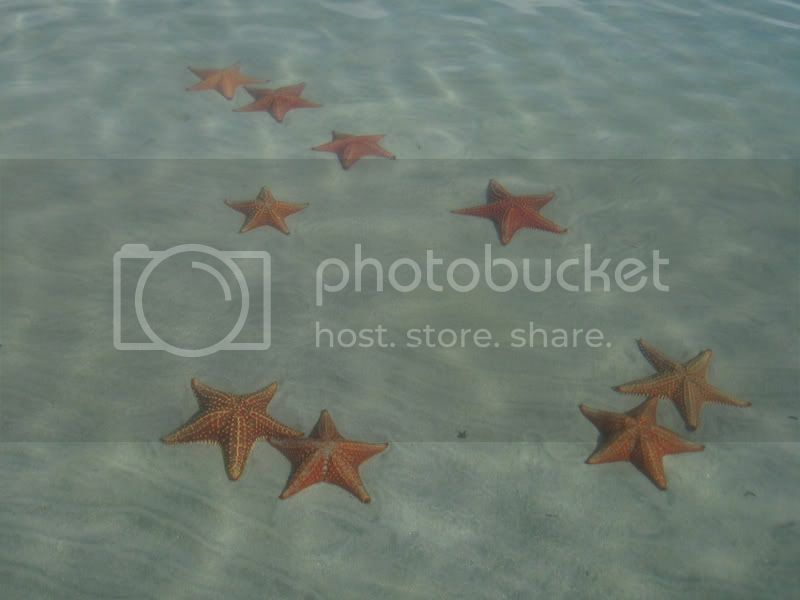 On Bocas del Drago beach, the water is warm and clear and large star fish are abundant. 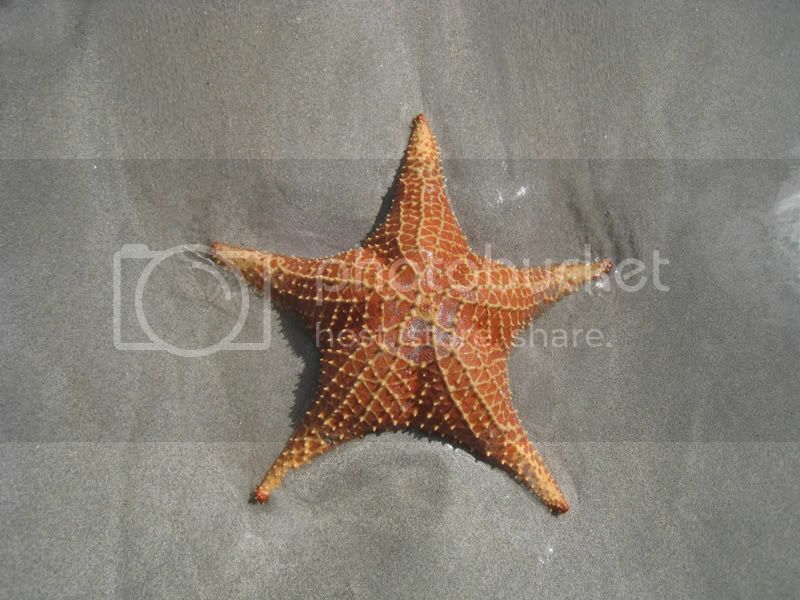 There are star fishes every where you look on this stretch of beach. 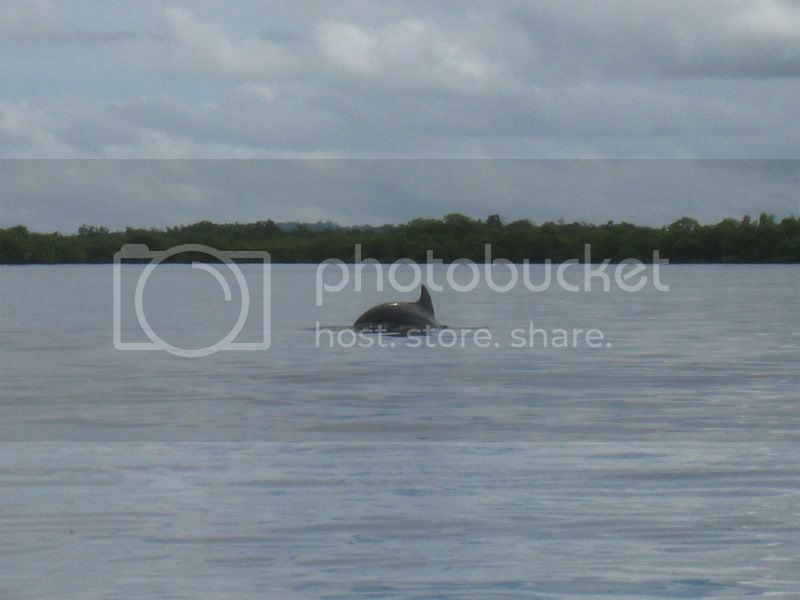 One day we did an organized dolphin watching, snorkelling, and beach tour by boat. We saw many dolphins jumping around. 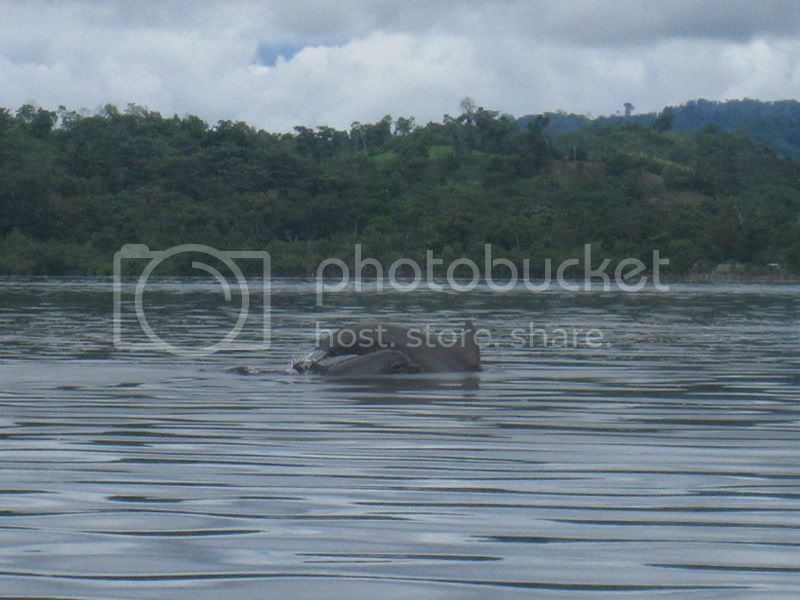 Here you can even recognize a young dolphin swimming with its mother. After snorkelling we went to visit Red Frog beach. 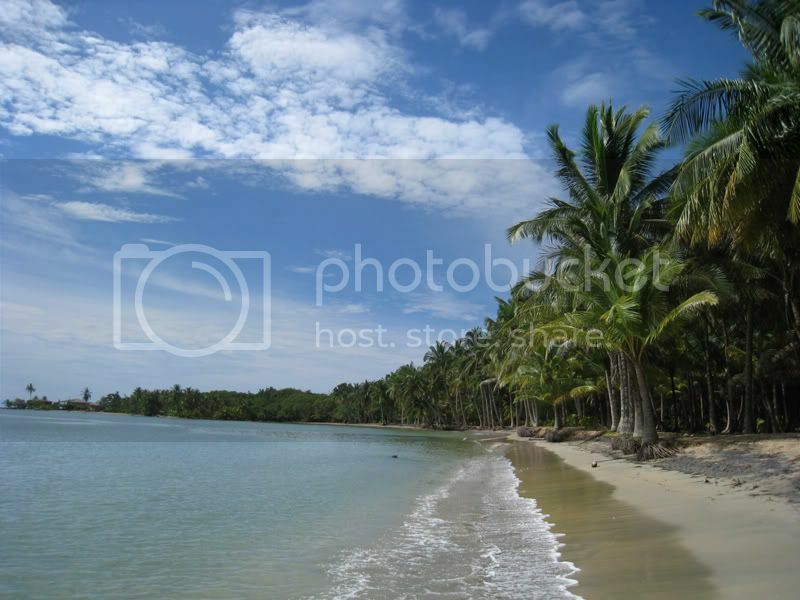 This is a beautiful white-sand beach on one of the nearby islands. 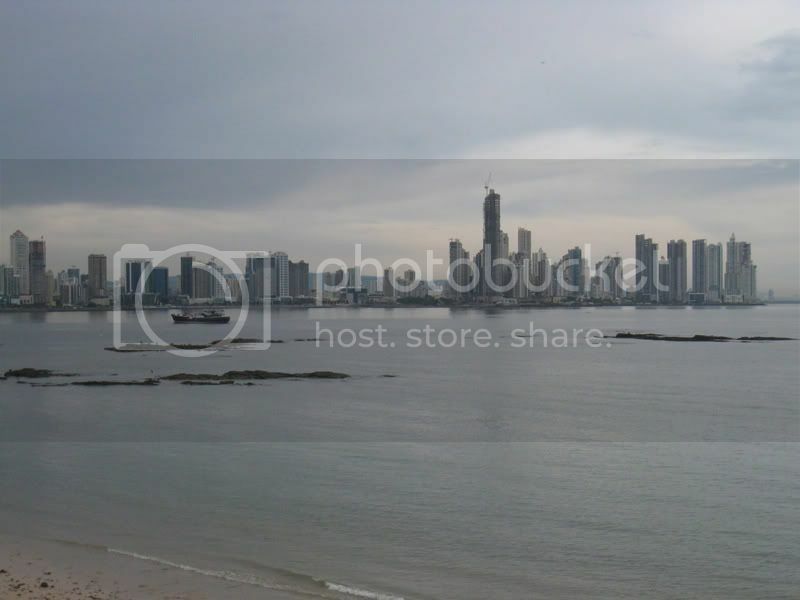 We visited Panama during the rainy season. The weather during the days was usually pretty nice, but regularly at five o’clock in the afternoon it started pouring down. 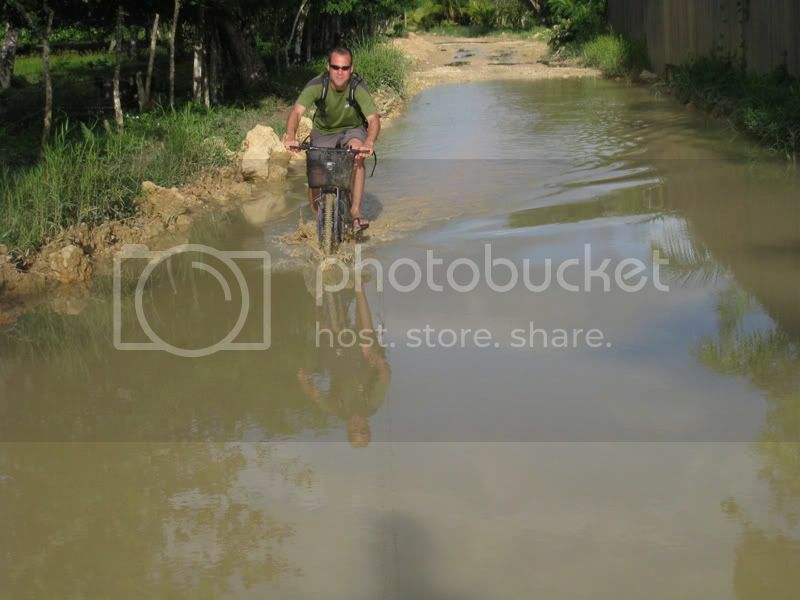 One day we rented bikes to explore the island and we had to make our way through one of the huge potholes. Jaya did not really enjoy the bike ride through knee deep muddy water, but I thought it was quite fun. 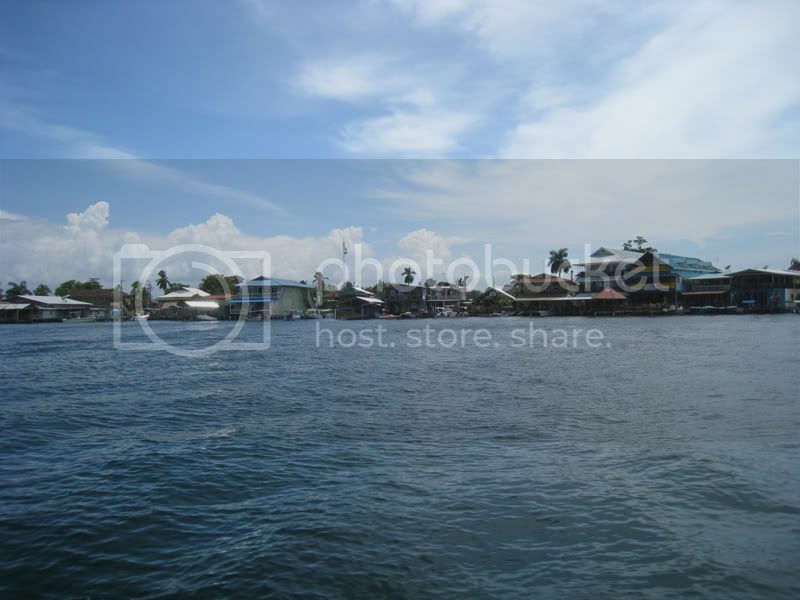 We wouldn’t mind to have one of those properties with private boat dock. We went with the bikes to Bluff Beach. 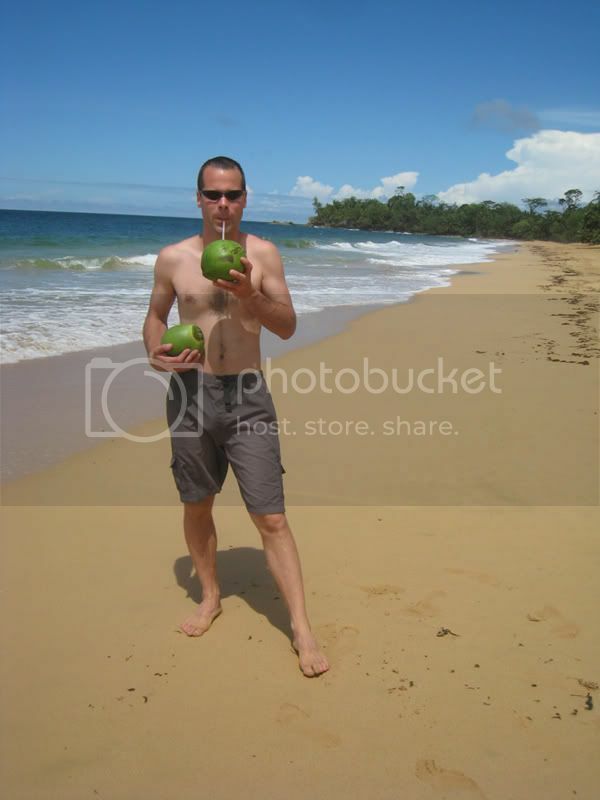 There are plenty of coconuts to have in Panama. Here we enjoyed one in the restaurant. But actually it’s a lot more fun to go and pick your own. Here I am enjoying one on Bluff beach. 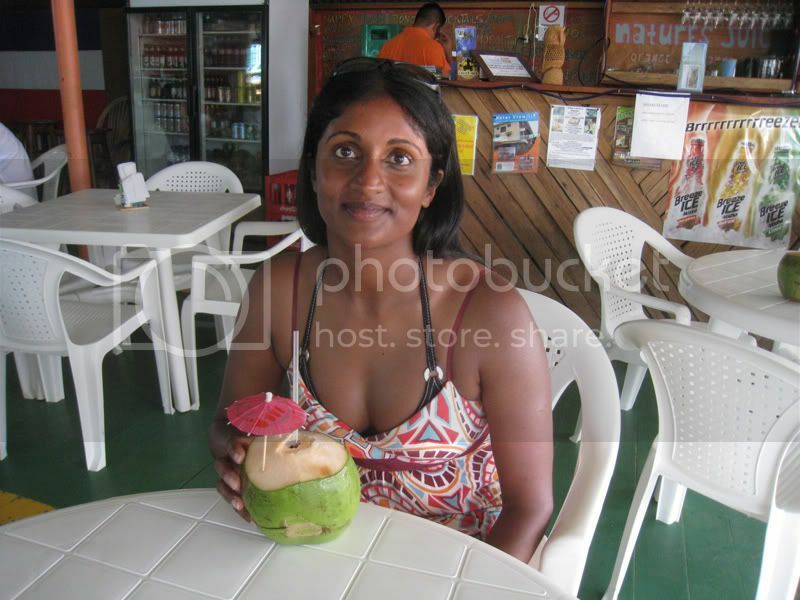 That day we got almost a dozen coconuts. 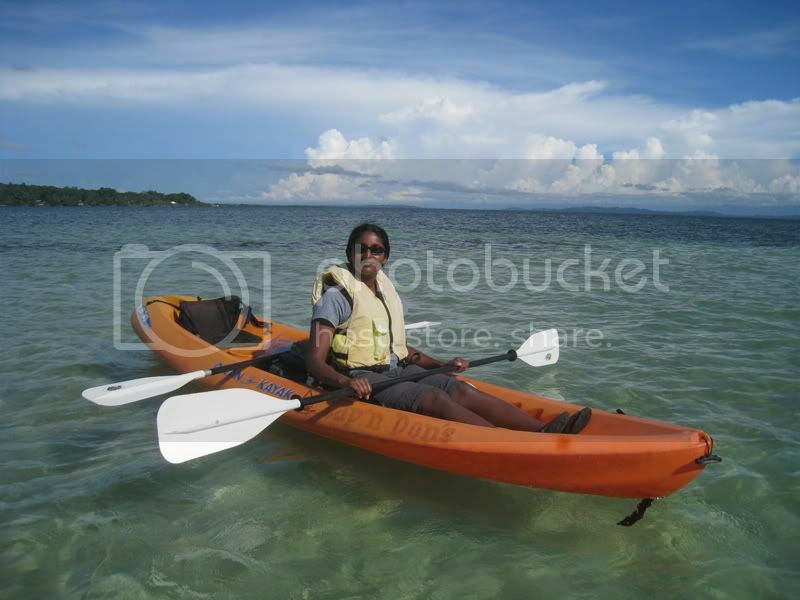 Exploring the waters with a sea kayak was also very interesting. 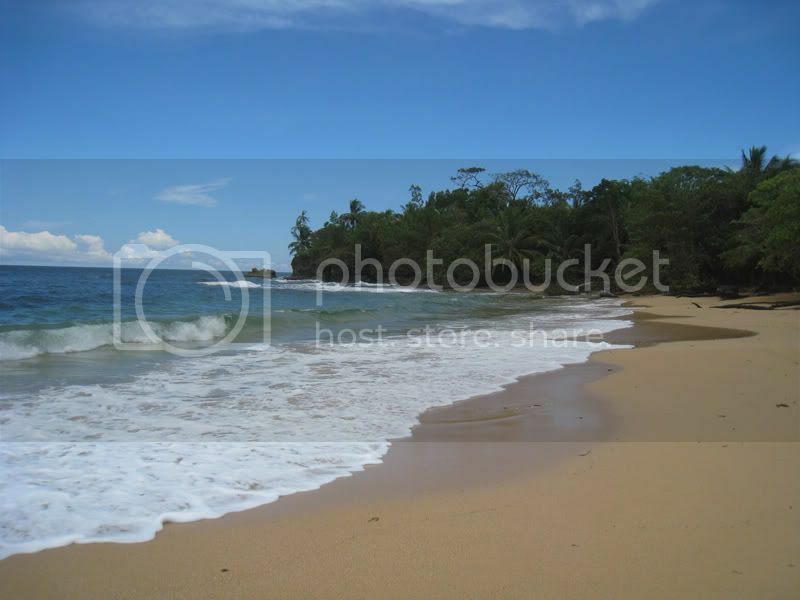 You could find some deserted nice little beaches. 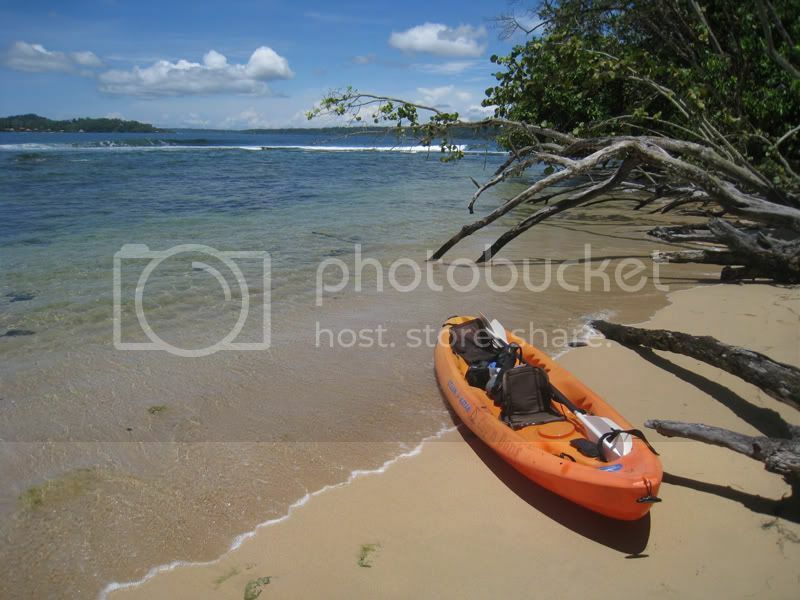 After 5 relaxing days on the islands we went to the highlands of Panama to Boquete. 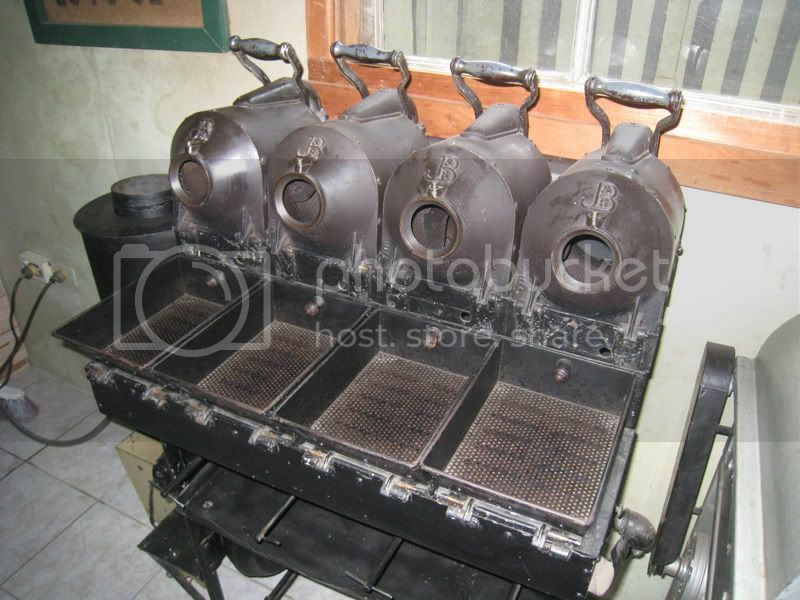 This is the land of coffee. 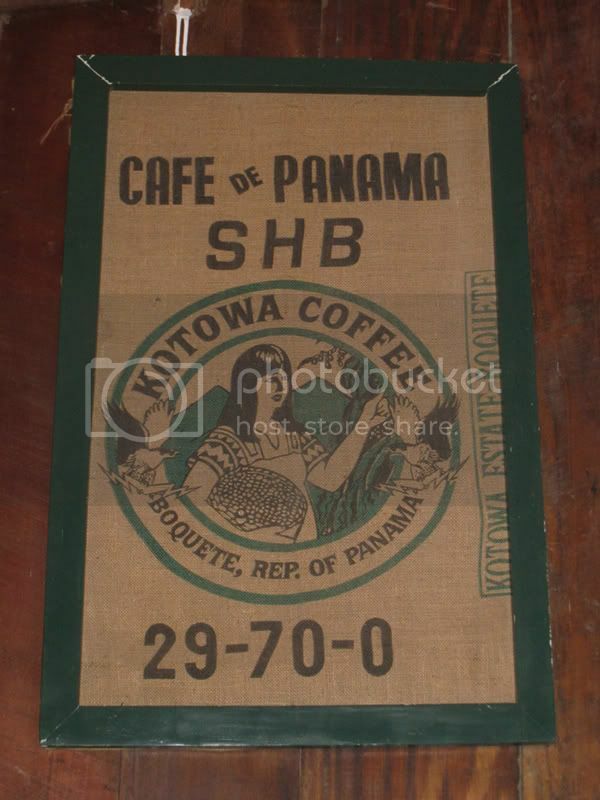 Panama produces some of the highest quality coffee in the world. 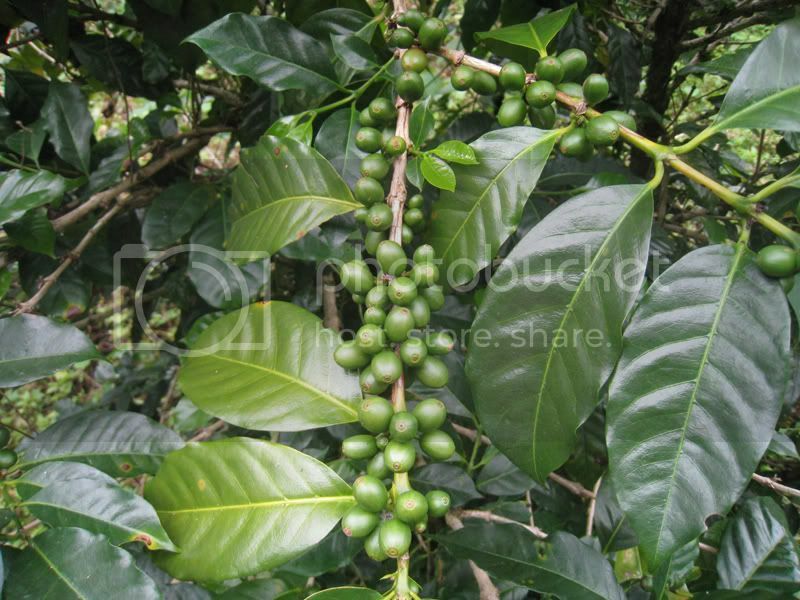 There are coffee plantations all over in the surrounding hills. 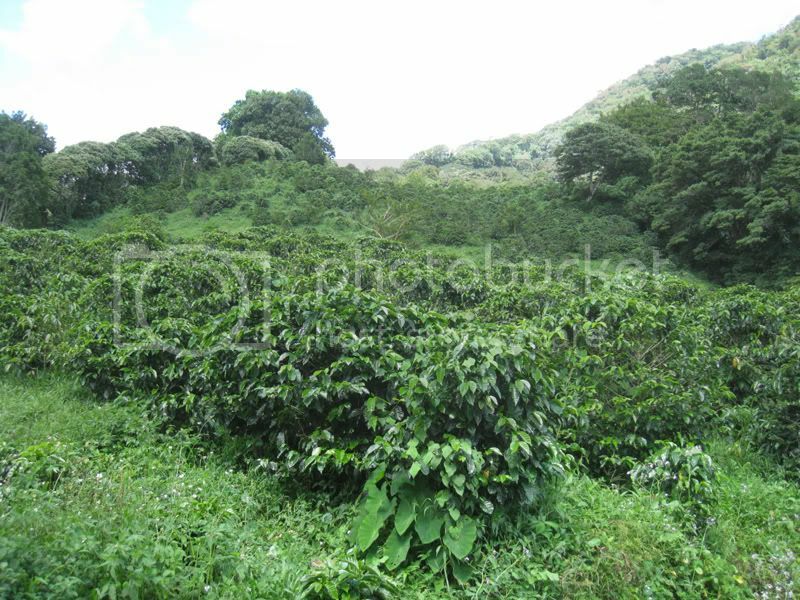 We did a tour of a coffee plantation. 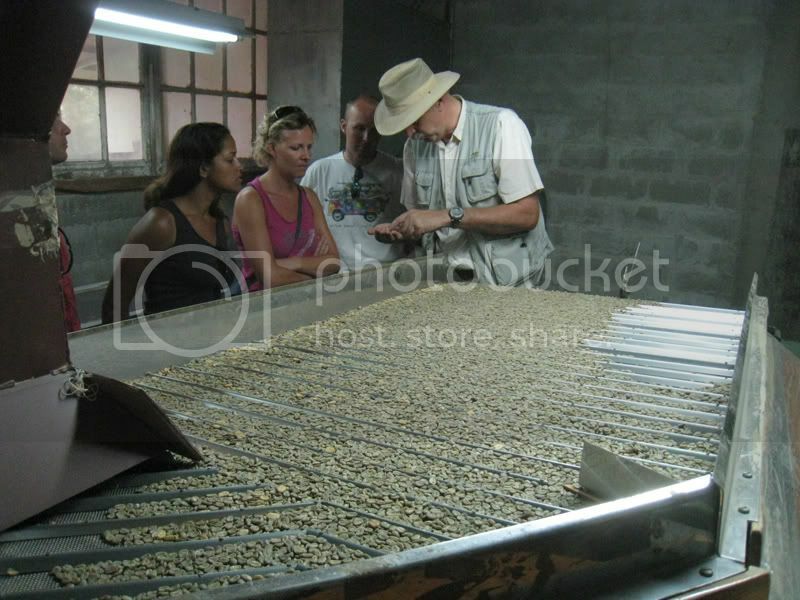 Here the guide explains how the beans get sorted. 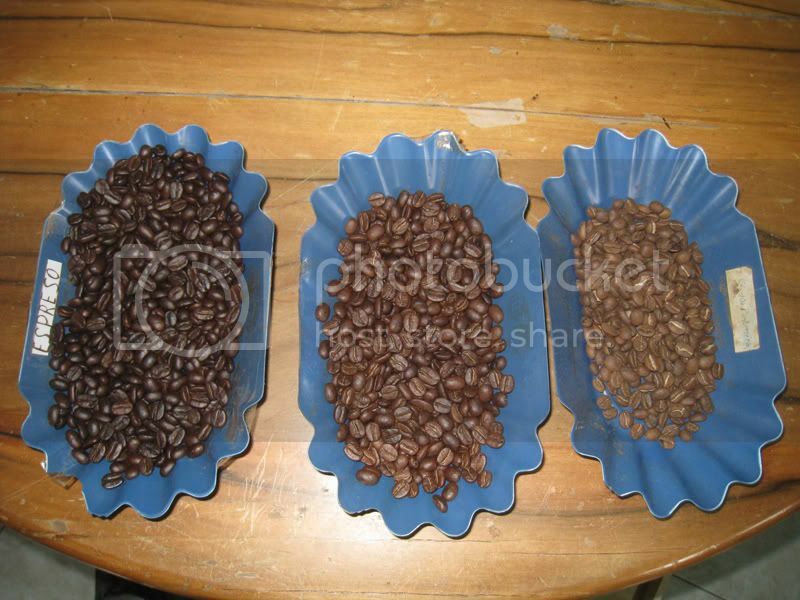 Dark, medium and light roasted beans. 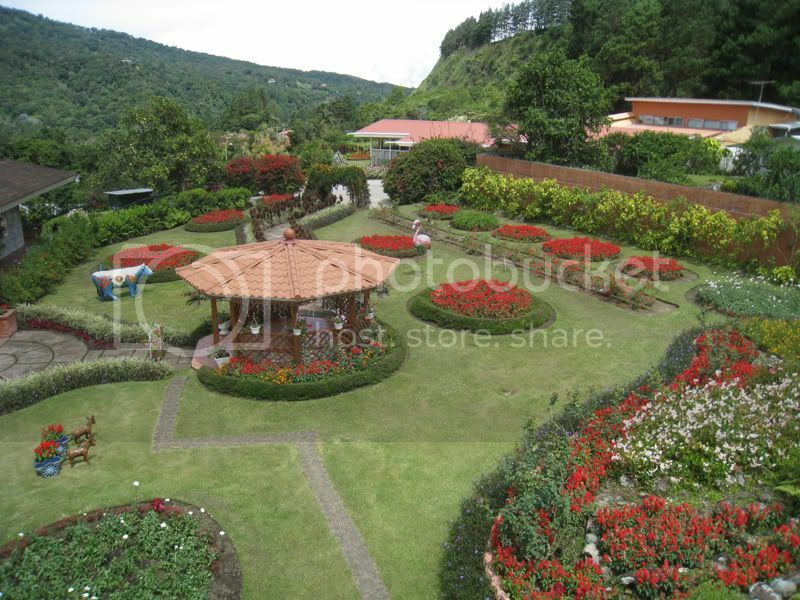 A few people in Boquete open their nice gardens to the public and you can go stroll around. 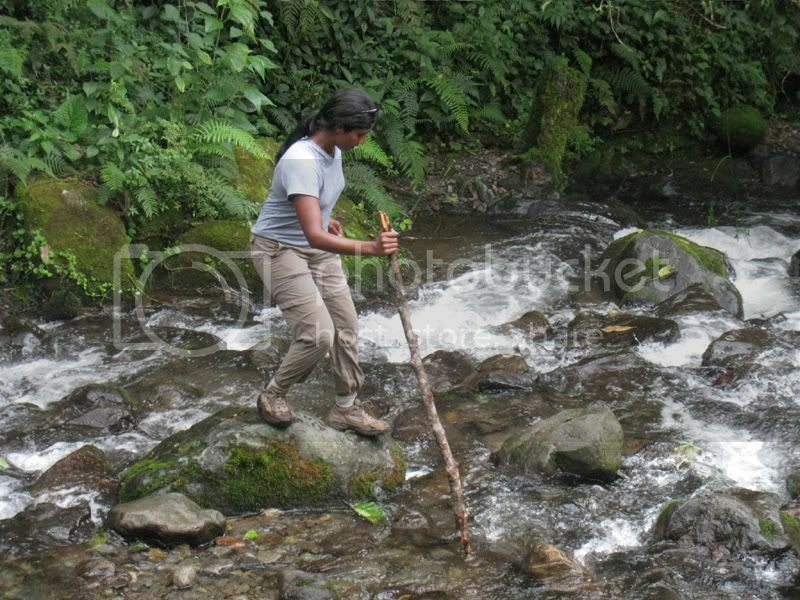 We hiked the Quetzal Trail and had to cross this river. 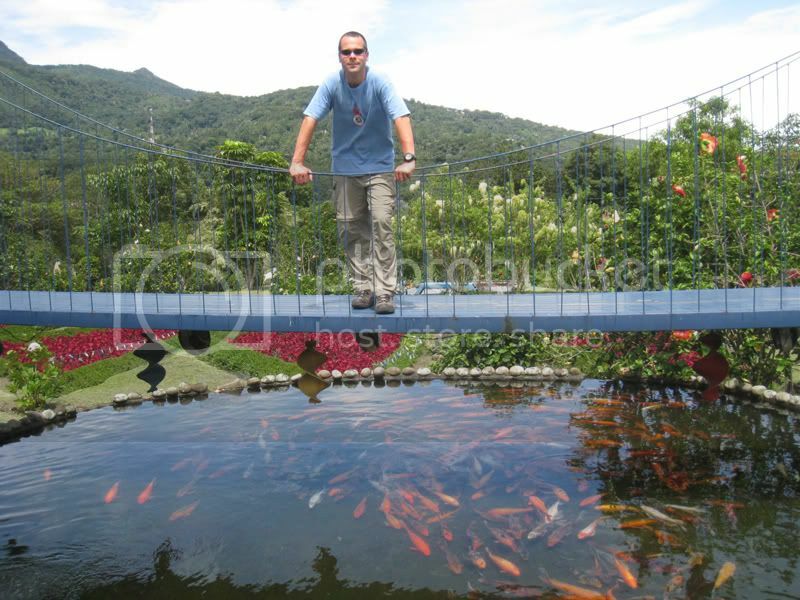 Even though we did not see any Quetzals (long tailed colourful bird) we had a nice time and at least saw a few monkeys. 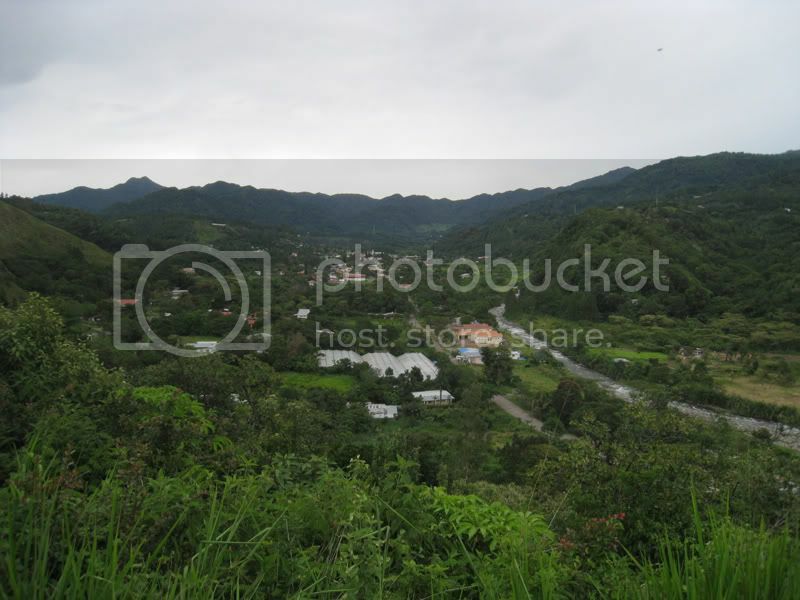 The valleys around Boquete are very fertile and there are lots of agricultural fields. Here for example onions. 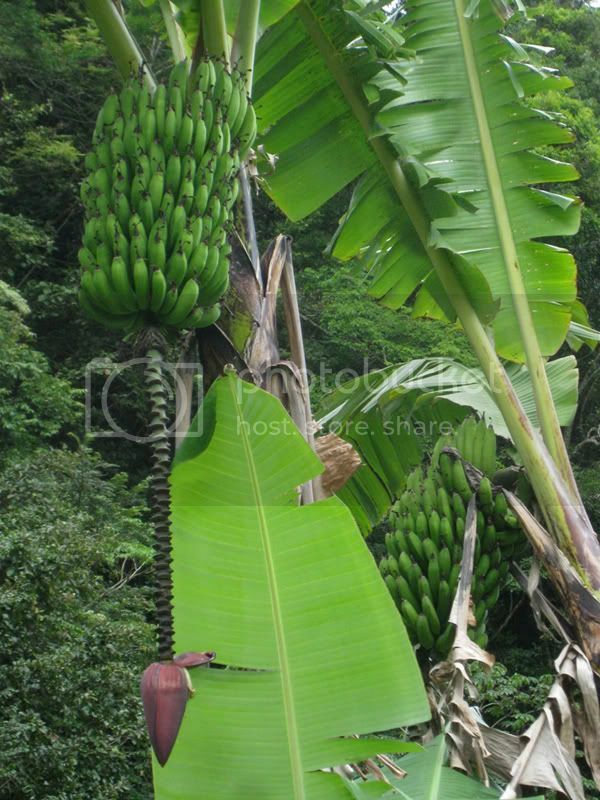 You can see oranges, lime and banana trees everywhere.